The summer is great when you’re a kid. The stressful weeks of school have been left far behind and autumn’s cold and dreary days seem like they’re still forever away. Each sunny moment is an opportunity for something new—an interesting shell on the beach; a new friend at the park; a delicious ice-cream flavor. The summer is a time for exploring. In addition to being fun, exploring is an important task of childhood. By becoming a detective, a child learns that one must look beyond the obvious “big picture” to see the world as interesting and complex. Developing the ability to explore with an open and inquisitive mind—to analyze situations, objects and places—is a skill that will carry a child far beyond the fun of the playground and into a successful adult life. It is important for you to provide opportunities for your child to explore—and summer is the perfect time. Encourage digging holes on the beach by making sure you remember to bring the shovel. Invite exploration in the playground by leaving ample time to play. Ensure bicycles and their safety equipment are accessible and ready to go. Your enthusiasm and patience (rather than frustration or boredom) will support your child’s desire to question and learn. At home, adventures can be found in baking or homegrown scientific experiments with soap, water, clay and…just ask your young explorer! Summer days are perfect for ‘science’ when patios or driveways can be hosed down afterwards! Exploring need not be reserved for playful detective work! Trying new foods is a type of exploration—a venturing into unknown and for many children, scary territory. However, the summer is a great time for widening a child’s palate. For one thing, it is less stressful, having left behind the “hurry up and eat, we’ll be late for school, homework or bed.” There are also so many great foods to try—fruits, BBQs and picnic foods all seem tastier and more fun in the summer. So, invite your child to explore a rainbow of summer foods—make it tempting by cutting them into interesting designs or serving them in fun ways. Invite neighbors to a picnic in the backyard—new foods taste better on colorful paper plates while sitting under a tree, especially when other kids are eating them too—peer pressure can work wonders when it comes to exploring foods. Some children are born explorers. For others, the idea of venturing out of their comfort zone doesn’t seem like fun, it feels overwhelming. Sometimes a child is left behind by the others who want to explore—especially when the park, pool and beach are calling out for adventure. A reluctant explorer may need a boost from you to get over fear. Also, ask yourself if you’re contributing to his or her anxiety by conveying your own worries about straying too far, getting hurt or becoming dirty. If so, you’ll want to keep this in check so your child can become a more confident explorer—while still being safe of course! Igniting interest in creative exploration is a gift you can give your child that will burn brightly long into adulthood. So get out your favorite walking shoes, your digging stick and your magnifying glass and get ready to explore! Dr. Susan Bartell is America’s #1 family psychologist. Her latest book is The Top 50 Questions Kids Ask. 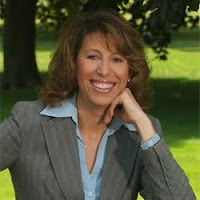 You can learn more about Dr. Bartell at http://www.drsusanbartell.com/.